Selena Gomez wants to find love again after struggling to have a "normal" relationship with Justin Bieber. 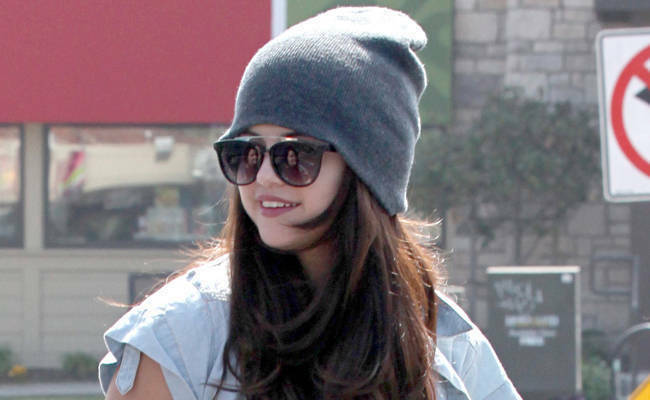 Selena Gomez struggled to have a "normal" relationship with Justin Bieber. The Who Says singer, who dumped the 19-year-old Canadian popstar in January after a tumultuous two-years together, has opened up about their break-up and insisted that although she finds it difficult to trust people, she hasn't given up on finding love. She told the April issue of Harper's BAZAAR magazine: "To me, love is normal. Of course, you see Jay-Z and Beyonce and you're like, 'Oh, my gosh, they're perfect for each other,' but at the end of the day their love is just like everybody else's love. They have problems, I'm sure, and they solve them, like anybody else. So to make it as normal as possible—in such an abnormal lifestyle—was super important to both of us. Which was great... That's how it should be." The 20-year-old beauty admitted that she still believes in love but hasn't had the desire to start dating again yet and doesn't get "asked out a lot." She said: "It's not like I've wanted to go out and look for someone. I'm not really good at that. "I believe in love—yes, I'm one of those girls. Most of my friends believe in love. I went out with Katy Perry last night. She's so fun and awesome, but it's cool to see someone older believe in love, too. She is all about it, and that's how I will always be. I believe in stories like, 'Oh, I met him in Starbucks.'" Despite not enjoying the attention she and Justin attracted, Selena hinted she is only interested in dating celebrities. She said: "I've dated people that are not in the industry, and it does get really hard and stressful. My first boyfriend wasn't, and it all sort of started happening, so... I felt bad. "It's hard for me to tell myself to trust people and be open, because I don't. That's one of the negative things about this industry that makes you very scared of everybody and their motives. It's sad, but that's how you have to protect yourself."